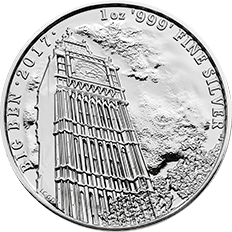 The Landmarks of Britain silver bullion coin range celebrates Britain’s iconic landmarks and landscapes, featuring designs from Glyn Davies and Laura Clancy of landmarks that are instantly recognisable to tourists from around the world. The Elizabeth Tower, with its famous clock, dominates the skyline at the northern end of the Houses of Parliament. Popularly known as ‘Big Ben’, after the nickname given to the tower’s great bell, it is one of London’s most familiar sights. Its chimes have accompanied London life for more than 150 years marking each passing hour, era and great event and ringing out in times of national celebration. 2017 marked a significant time in the history of The Elizabeth Tower with a four-year period of renovation commencing on the 21st of August. The tower’s renowned bells will be silent until the renovation is complete, making this series even more poignant. 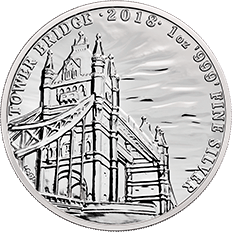 The second coin in the series is Tower Bridge. Instantly recognisable to people from across the world, Tower Bridge rises above the river Thames, an integral part of the London skyline. An outstanding example of nineteenth-century design and engineering, people still marvel at the bridge when it is raised to let tall ships pass upstream. This design was created by Laura Clancy and Glyn Davies of the Royal Mint their interpretation of this iconic building is highly impressionistic. The latest addition to the range is Buckingham Palace. 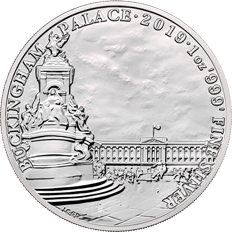 This 2019 silver bullion coin is one of Britain’s most visited attractions that stands at the top of the tree lined avenue, The Mall. A must-see site for any tourists visiting London, you can tell when Her Majesty the Queen is in residence when the Royal Standard flies on the flagpole. 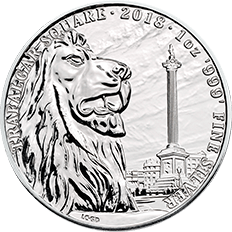 Other silver bullion coins are available from The Royal Mint. View our complete range of silver bullion coins.